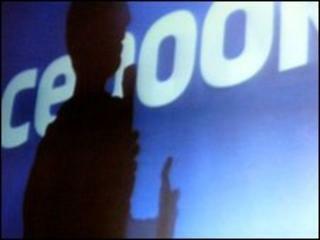 Facebook founder Mark Zuckerberg has admitted that Facebook "missed the mark" over recent privacy concerns. In a column in the Washington Post newspaper, he said the social network would soon make changes to users' privacy options. The move may placate some of the growing band of members who had pledged to quit the social network on 31 May. "Sometimes we move too fast - and after listening to recent concerns, we're responding," wrote Mr Zuckerberg. "The biggest message we have heard recently is that people want easier control over their information. "Simply put, many of you thought our controls were too complex. Our intention was to give you lots of granular controls; but that may not have been what many of you wanted. We just missed the mark," he wrote. The technology blogger Robert Scoble also published, with permission, an e-mail exchange with Mr Zuckerberg from the weekend, in which the Facebook CEO admitted "we've made a bunch of mistakes". Facebook has faced increasing criticism from US civil liberties advocates, consumer groups and lawmakers. European Union data protection officials described recent privacy changes as "unacceptable". Mr Zuckerberg's admission also comes after Facebook said on Friday 21 May that it had changed how it shared data with advertisers on the site. The Wall Street Journal had highlighted how under certain circumstances Facebook had been sending the user name or ID of the person clicking on an advert to the relevant advertiser. "We fixed this case as soon as we heard about it," a Facebook spokesperson told the Wall Street Journal. Mr Zuckerberg did not offer a date on which the new settings would be implemented, but said the social network was "working hard to make these changes available as soon as possible". However, it remains to be seen whether Facebook has done enough to change the minds of a growing band of users who had said they would quit the social network. The quitfacebookday website records that more than 13,500 Facebook members have committed to deleting their profiles on 31 May 2010.